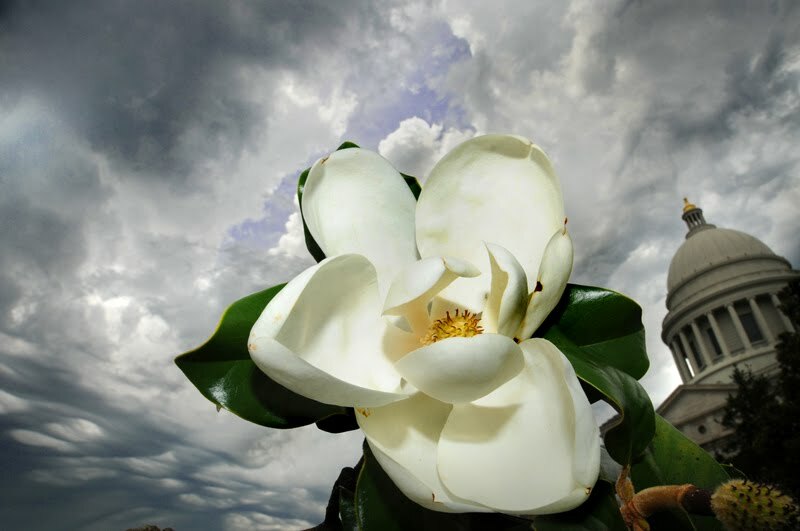 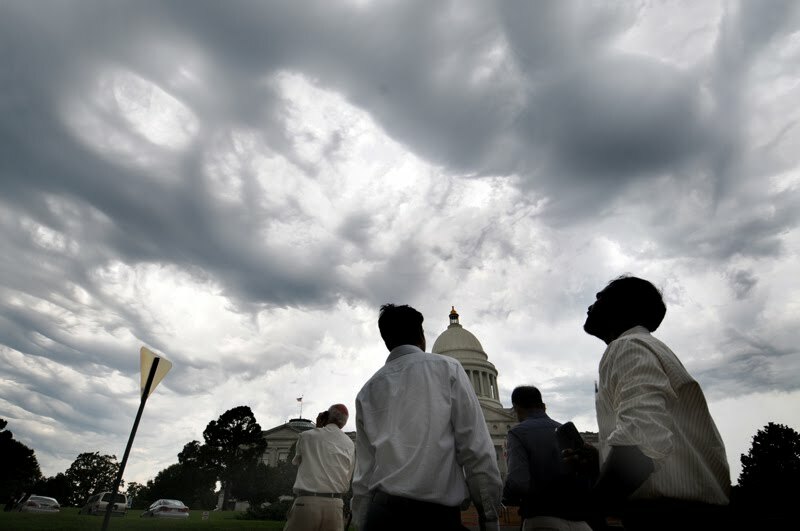 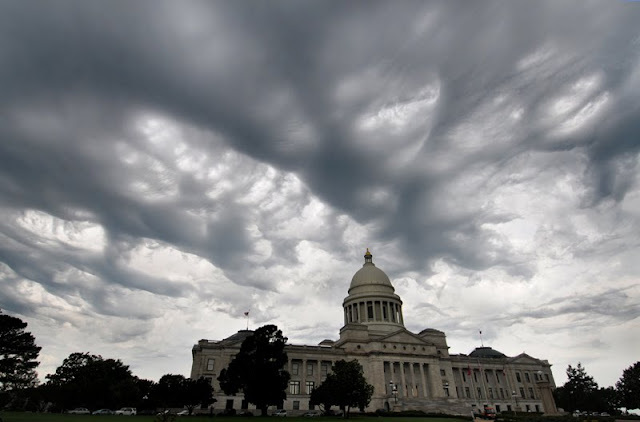 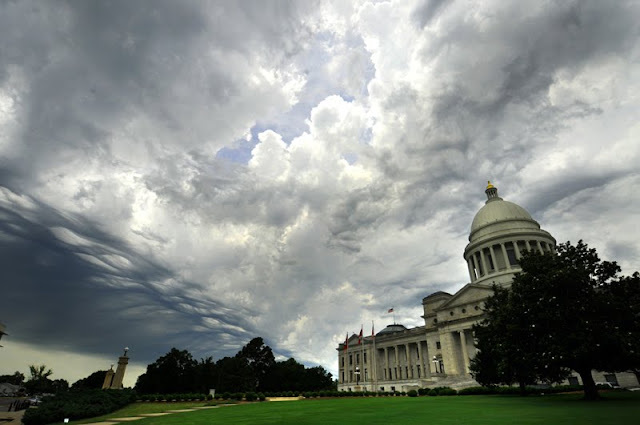 6/7/2010 I was heading out the door to lunch, when the boss - heading in, said "Kirk, Quick, where's you camera" - I took one quick look and made a B-line upstairs, as - for the next fifteen minutes, some of the wierdest clouds wev've ever seen flowed over Little Rock. 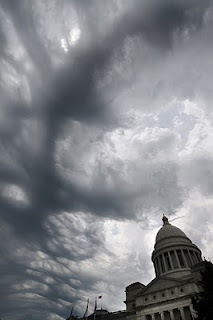 (And frankly, I didn't capture the best ones, the ones that looked like layered waves. 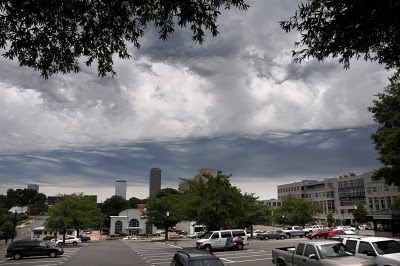 Angela Norton, a follower of the Facebook Mighty Works edition, says these are Altocumulus Undulatus.